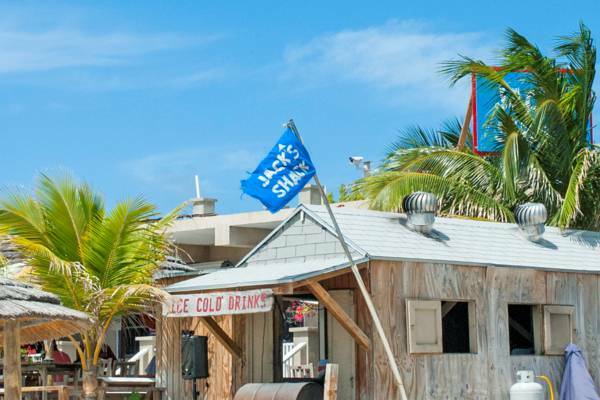 The popular Jack's Shack on the Cruise Center Beach. Located less than one mile up the beach north from the Cruise Center, this popular casual beachfront restaurant and bar serves local, Jamaican and international inspired grilled burgers, seafood, BBQ and jerk dishes. Found up the beach from the Cruise Center, this bar and restaurant offers a casual beachfront setting.